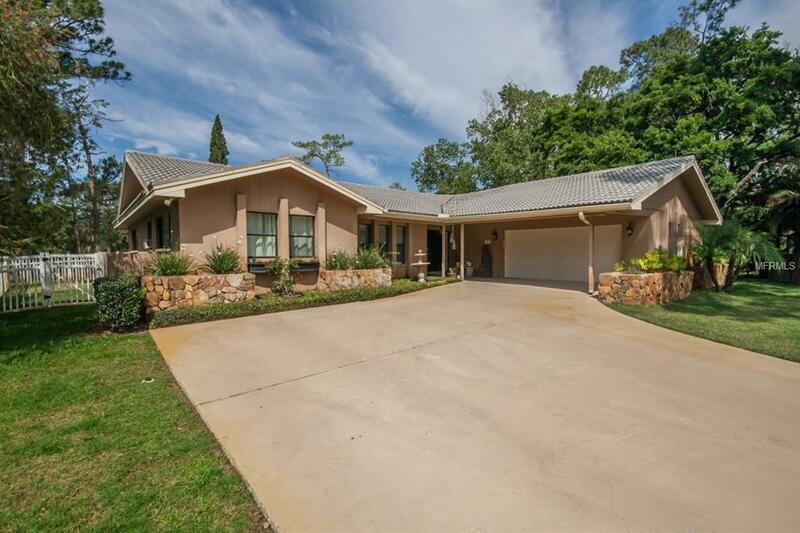 You do not want to miss this incredible golf course home located directly on the 8th hole of the Tarpon Woods Golf Course. This beautiful home boasts an open plan with large living areas and over-sized bedrooms. This home features beautiful hardwood, octagon and ceramic tile flooring throughout. The brand new kitchen remodel has all the bells and whistles. This is a chef's dream with a perfect space for large gatherings and entertaining. This kitchen features gleaming quartz counters, high end custom cabinetry, stainless steel appliances, a large stainless steel farmer's sink and a beautiful wine bar. This home sits on a very large fenced in lot with a lovely screened in pool and a patio area right on the golf course. This home is so centrally located and close to everything! Shops, restaurants, parks, beaches, TIA. Welcome home!